It’s that time of year when Adelaide starts buzzing. Fringe time is almost here and it’s time to get out the Fridge guide and start planning what events to go to. It’s intimidating and overwhelming having so much to choose from so I’m going to give you a little heads up. Adelaide Food Central was invited to trendy late night supper/drinks venue The Propoganda Club for a preview of Paul Dabek’s fringe show Look at Me. I was laughing from the moment the talented Magician/Comedian walked on stage. It was an evening of non-stop hilarity, the type of night where the corners of your mouth are aching at the end of it. It’s not just the fantastic comedy that entertains; Dabek is a world-class magician, wowing the audience with his impressive tricks and illusions. The fast paced performance shows off Dabek’s skill and accompanied by his sharp tongue we see a take on the classic rope, card and money tricks with far more flair, humor and enthusiasm than ever seen before. It’s a little cheeky, a little naughty and a whole lot of fun. The award-winning UK Magician has toured the globe and sold out his show at the coveted Edinburgh Fringe Festival. He has returned to the Adelaide Fringe to deliver more mischief and mystery and this is a show you won’t want to miss. 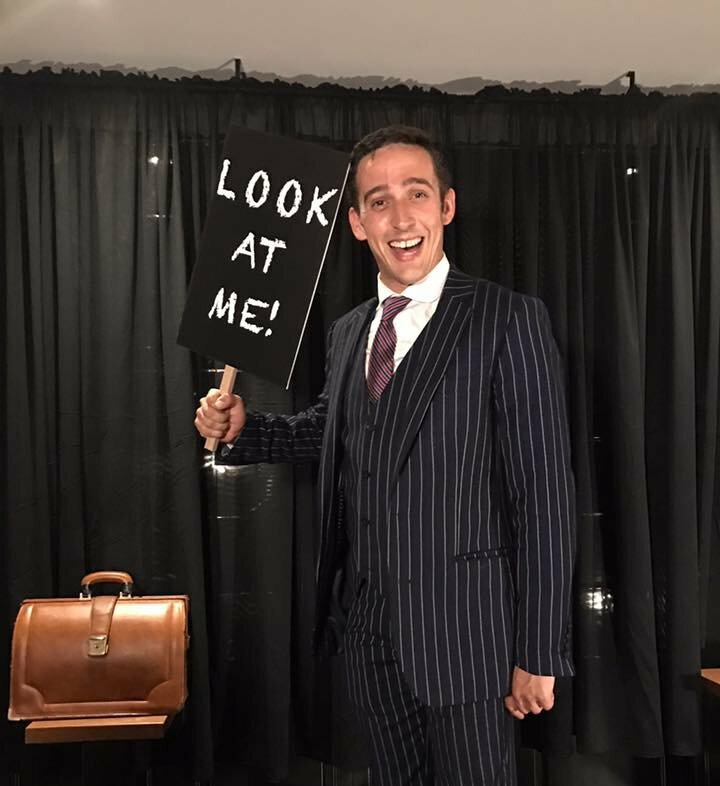 You will find Paul Dabek performing his outstanding show Look at Me at the GC (German Club – 233 Flinders St, Adelaide) every night excluding Mondays from 16 February – 19t March. I agree completely – he was fabulously hilarious! Laughed the whole way through!